The name Leaside carries a certain cachet in Toronto. One of the city’s most popular districts, Leaside is also one of its most elite, with many wealthy families making this area their home. In addition to plentiful green space and parkland, this well-established neighbourhood is home to excellent schools, easy access to public transportation, amazing recreational opportunities, beautiful parks and fabulous shopping – making it a wonderful place to raise children. I cannot say enough about the spectacular shopping and restaurants along Bayview Avenue in this area. Among the shops and boutiques, you can find outstanding antiques, as well as a lot of stores that carry children’s items. At Eglinton, the Sunybrook Plaza is a favourite with locals, and Leaside Centre at Laird Drive and Eglinton offers large national retailers. There are also numerous small shops and services on the side streets in the area. In addition to recreational facilities, area residents can stay active and fit at several parks. Sunnybrook Park has sports fields, horseback riding stables, picnic spots and more. The Leaside Tennis Club is located in Trace Manes Park, which also features a baseball diamond and children’s playground. Baseball is also a popular pastime at Howard Talbot Park, which has two diamonds. From Leaside, it’s only a 10-minute drive to downtown Toronto. 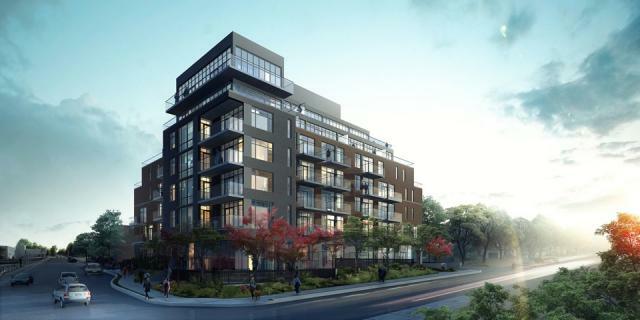 Within coveted Leaside, Knghtstone Capital Management Inc. has launched sales at The Upper House, an elite boutique residence at 2 Laird Drive. This mid-rise condominium offers luxurious suites with generous terraces, as well as a selection of townhomes. Purchasers range from professional couples to families and empty-nesters, all of whom recognize the many benefits of living in sumptuous surroundings in this prime urban location. You can find out more about the company and The Upper House at K-Cap.com.